Have you ever had the unfortunate experience of being in a car accident? People who go through car accidents usually report the feeling of losing their resolve and operating based on instincts. This is undoubtedly understandable, since our bodies and minds are programmed to respond automatically when experiencing the shock and surprise of such a situation. That is why we need to be prepared ahead of time with just one crucial thing, which is the number of the one place that takes care of every possibility in instances of an accident – that is to say, we need to have immediate access to a towing service that will make sure that we and our cars are safe and out of harm’s way. When experiencing an accident and needing an emergency tow service, or, when we find ourselves in need for any other emergency towing, we need to know that a certified towing company, that is, one that is licensed to operate by the authorities, can do a vast number of things to assist us in our time of need. A certified towing professional is authorized to stop traffic in order to secure the safety and safe removal of a car from the road. They are authorized to contact the police or any other emergency service provider on our behalf, and of course, are able and licensed to tow our cars to wherever we choose. Many people are not aware that by choosing a towing company and calling them instantly, they are securing an all inclusive service that is designed to cover them in any emergency need.  At Olympus Towing, we have seen and assisted in emergency situations such as car accidents and roadside scenarios of cars that were stranded in hazardous fashions, for many years. We have encountered many towing tasks considered to be difficult, from various locations, towing cars out of ditches, out of tight bridges and the like. We have seen it all, and are extremely versed in the mechanics of safely securing a car for a tow. Call us now (626) 219- 0412.